We all are Aware of Samsung Galaxy Note 7 issue. Samsung Galaxy Note 7 is exploding due to some serious problems in the factory battery anode and cathode cell contact. We have also seen Samsungs throwing up extra $100 to encourage people to turn in Samsung phones. 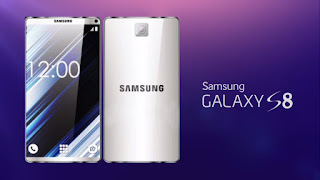 However, Samsung’s next flagship handset will be Samsung Galaxy S8, and it is expected to feature a major redesign. The smartphone will lack physical home button and will have dual-lens rear camera setup just like iPhone 7 plus. There are lot’s of rumors spreading like a fire on the internet, we previously shared a rumor specifications that Samsung Galaxy S8 will feature which includes 6GB Ram and up to 256GB storage. Samsung will feature Snapdragon 835 processor. However, a new rumor coming from one of the China’s popular leakster, Ice Universe, suggests that the upcoming Galaxy S8 is expected to feature 8GB RAM and a newer UFS 2.1 flash storage chip. The same leakster also suggested that Samsung is going to manufacture their own 8GB RAM memory using its 10nm technology as pear a report by MySmartPrice. There were also few rumors that suggest that Samsung Galaxy S8 will be available in two variant 5inch display and the 6-inch display. The 5.1-inch display variant will be known as Galaxy S8 whereas the 6-inch display variant will be known as Galaxy S8 Plus.